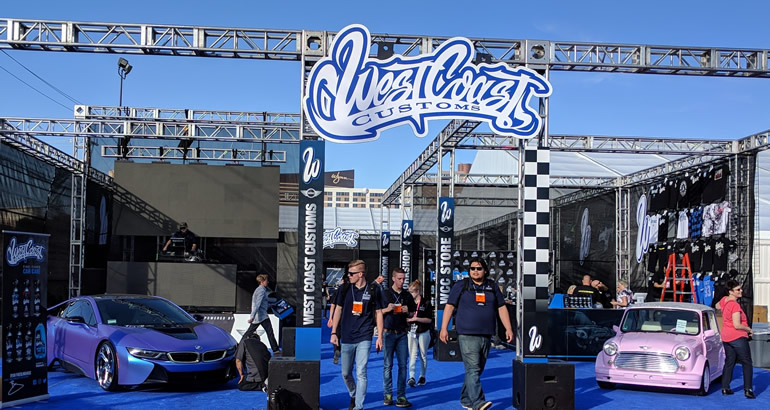 One of the world’s best acclaimed custom shops, West Coast Customs, presented over ten customized cars at the SEMA Show 2017 in Las Vegas in November. 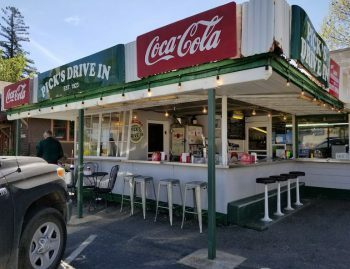 Their Porsche 356 resto-mod sat proud in center stage. This 1959 Porsche 356 has been tastefully modernized to the extent of a complete Cayman engine and drivetrain. The original 356 bodyshell was cut down the center with a center section fabricated and added to widen the entire body from front to back. This was done to accommodate the wider chassis of the Cayman. Bumpers and windshield had to be specially built for the new body. 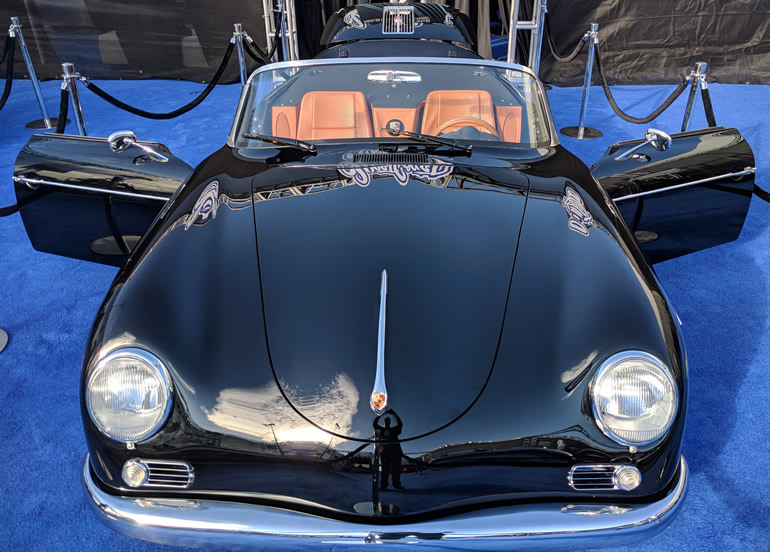 1959 Porsche 356 Resto Mod by West Coast Customs. 2007 Cayman chassis, removable hardtop. The engine is no longer in the back with the Cayman engine being mid-engined making this 356 a two seater. The rear hood is now access for storage as well as the front. Custom interior by Roadwire. 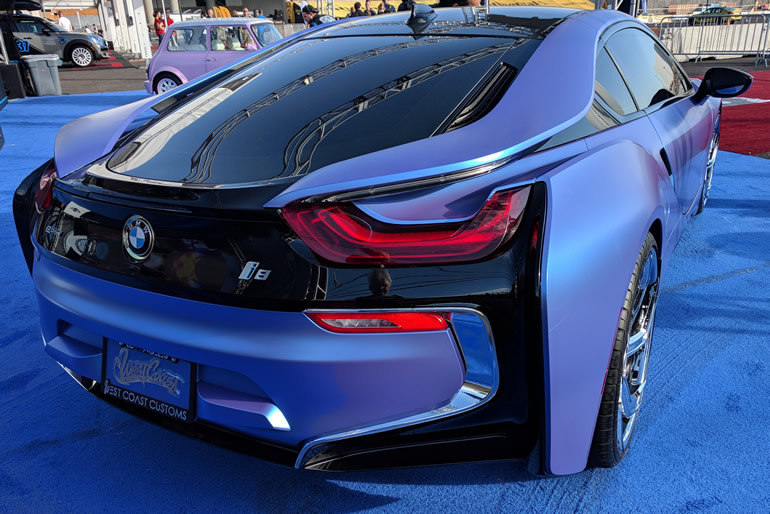 BMW i8 plugin hybrid. 139hp twin electric motors and a 3 cylinder turbo diesel propel this modern classic to 60 mph in 4.8 seconds. The engine and motors are monitored to cap maximum speed to 155mph. All this with a 90 miles per gallon fuel consumption rating. 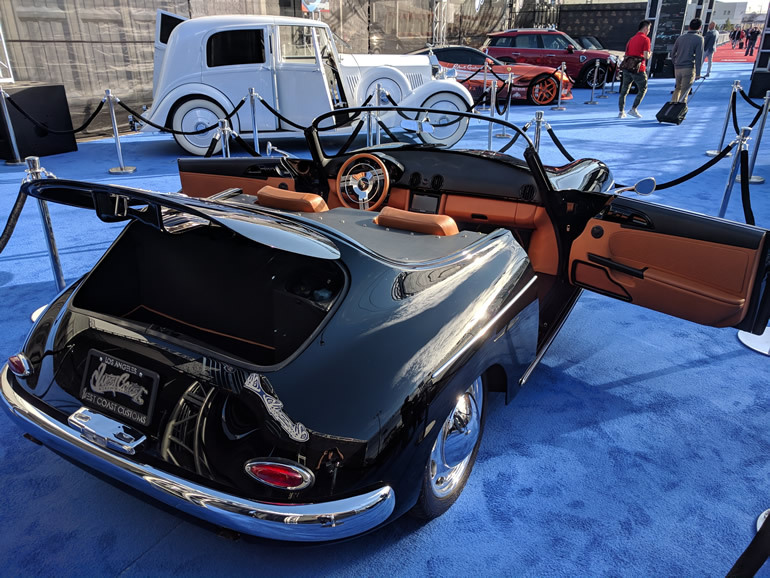 WestCoast Customs exhibit at SEMA Show 2017 in Las Vegas.